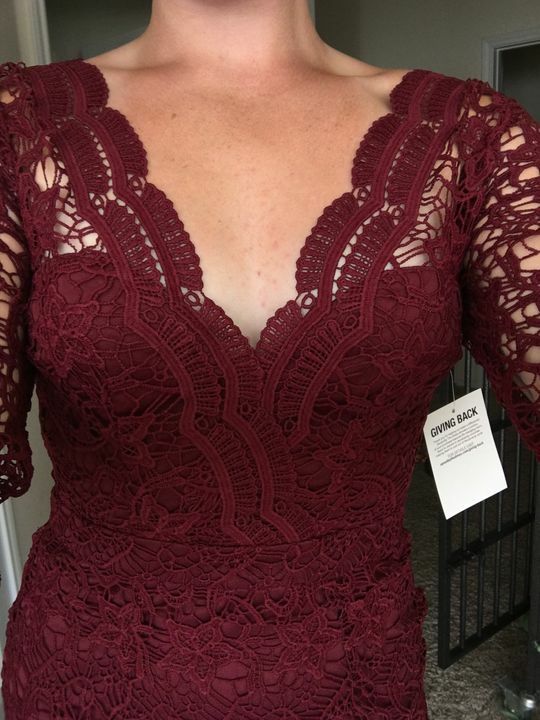 This Burgundy Crochet Short Dress with Long Sleeves makes a perfect cocktail dress! It features a long sleeve style and beautiful crochet detail throughout the entire dress. Product fit as expected! Super cute and shipped so fast. Love the color and the fit. Would definitely purchase from this store again!! Love this dress! Is going to be perfect for our rehearsal dinner!! Love this dress! Seems a little tight at first but stretches over time. The sleeves are a little bit long but are loose enough to bunch up if need be. I wore it to a wedding this fall and was perfect for it. I got so many compliments!